Liz Hutchins, a member of our Reservations Team, is also an amateur photographer, and took many pictures during her trip to Vietnam. 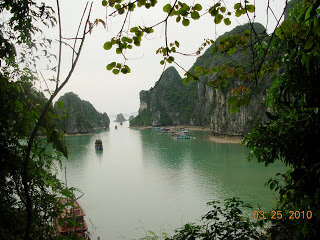 So we thought it was fitting to ask Liz to share her five favorite photos of Vietnam with our blog readers. Scroll down to see her choices. 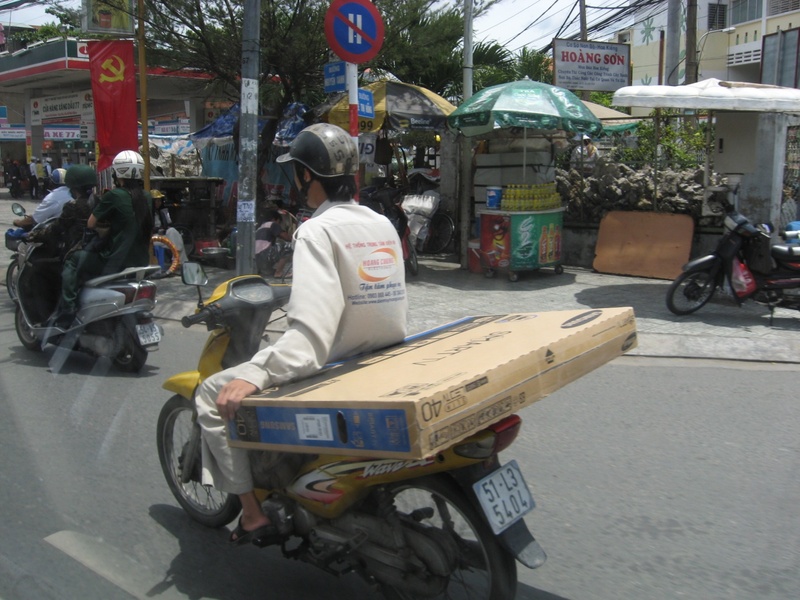 Everyone always asks me, “What’s the strangest thing you saw someone carry on a motorbike?” This picture shows just one of the 12 locals I saw transporting TVs on their bikes. I think 40 inches was the largest TV I saw, but the biggest cargo I saw being transported via motorbike was a full-size mattress! Sadly, I did not capture this. Other extreme cargo included a stack of cages with chickens, a 6-foot-tall pane of glass, and a family of four. 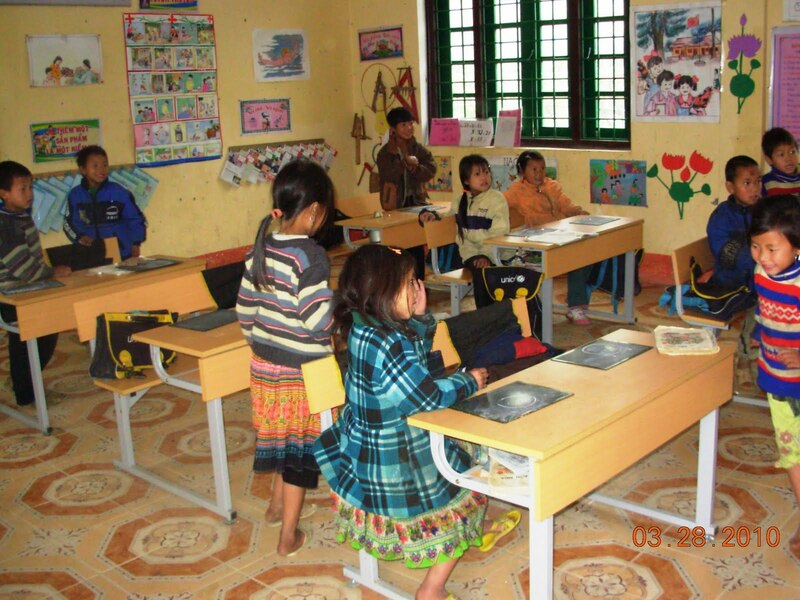 We shared a bit about Liz Hutchins’ first trip to Vietnam in a previous post, but Liz has more to share with us! 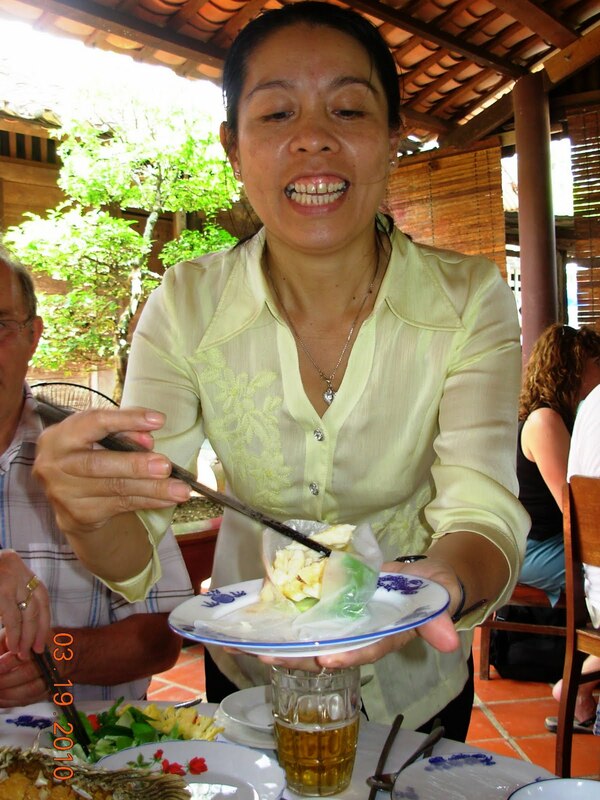 Read on for her personal account of experiencing authentic Vietnamese cuisine. 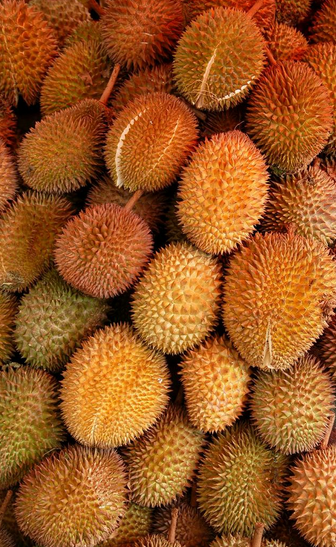 “The most interesting food I encountered in Vietnam was the infamous durian fruit. I consider myself a pretty adventurous eater, and after hearing many stories about the world’s stinkiest fruit, I decided I had to try it. I thought I’d be clever and try durian-flavored ice cream, and found it at Fanny’s Ice Cream Parlor in Ho Chi Minh. As I scanned the pristine ice cream selections, I noticed that the durian ice cream was not in the glass case in the front of the store, but in the back freezer. I became apprehensive, so instead of getting an entire serving, I asked for a sample to taste only. 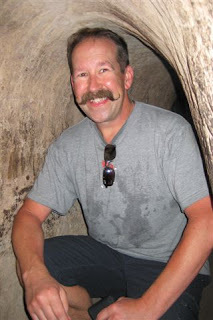 I was alone in my adventure, as no one else in my group had any desire to try it. These signs should have tipped me off that I was in for an unpleasant experience. I had been warned that durian ice cream smelled like dirty gym socks or garbage, so I held my breath and just went for it. At first, it wasn’t that bad … different is the only way I can describe it. Afterwards however, oh boy! Every breath I took, every sip of water, every attempted bite of food, all I could do was relive that awful bite of ice cream. Sadly, I had to endure a night of illness and plain rice, as the dreaded durian got the best of me. I’m told that many Vietnamese people love it though, and the fruit is sold all over the country. All I have to say is … consumer beware of this funky fruit. 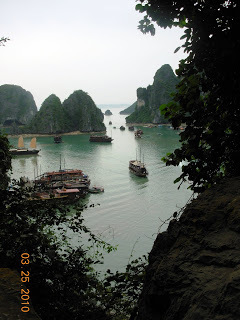 “After months of preparation for my trip to Vietnam, I knew to expect certain things when I got there: lots of motor bikes, terrific food, and sights that I have come to know from countless movies and TV shows. What I didn’t expect was that I’d immediately fall in love with this beautiful country. As soon as I landed, I was overwhelmed by the seemingly endless swarms of motorbikes, crowds, and food. People were either bustling about or sitting down to enjoy a delicious meal. Food stands selling Pho (a dish made of broth, rice noodles, a few herbs, and meat), broken rice, and Banh Mi sandwiches were everywhere, and I couldn’t wait to try them all! 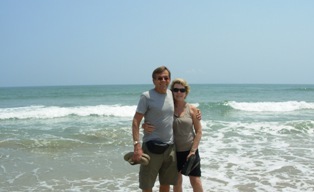 Last week Sue Phillips of Solana Beach, Calif. told you the reasons why she keeps booking group tours with Friendly Planet Travel. After I published the post, Sue sent me some photos she took on Friendly Planet Travel’s Taste of Vietnam tour. Scroll down to give them a gander. 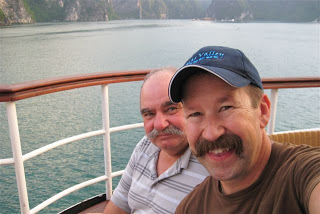 And if you have photos from any of our tours that you’d like featured on the blog, e-mail me or post them on Facebook and tag Friendly Planet Travel in them. When you think of Vietnam, you probably remember the war overseas and civil unrest in the United States. But the truth is, the war ended in 1975 and the relationship between the U.S. and Vietnam has been mended. 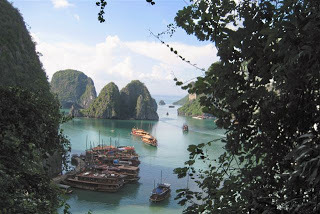 More recently, Vietnam has become one of the most exotic destinations on Earth to experience. That’s why JustLuxe asked me to cover it. JustLuxe is an online magazine that focuses only on the most luxurious things in life, especially those unexpected luxuries that they can reveal to their readers. And Vietnam is, for obvious reasons, the perfect fit. Its beauty and simplicity of life, juxtaposed against its emerging economy, makes it one of my favorite countries to visit. 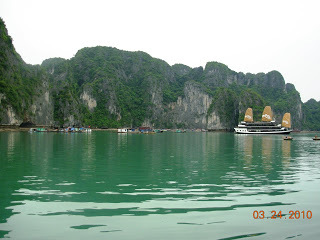 During my last trip to the country, I got to enjoy a luxurious overnight cruise aboard the Emeraude on Halong Bay. 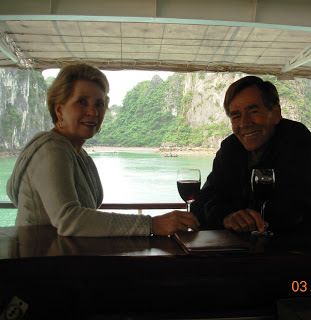 In my guest article, “Sail the Halong Bay and Explore Vietnam on the Emeraude,” I share every detail about my stay aboard the ship. Read what my experience was like, and if you have questions about Vietnam, leave them in a comment on this post. 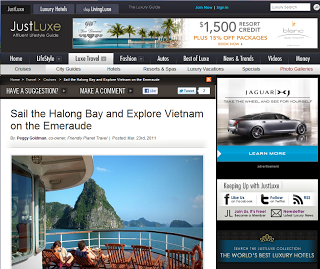 Thanks again JustLuxe for featuring my article! 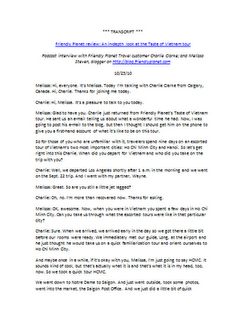 If you’re unable to listen to Charlie Clarke’s first-hand account of Friendly Planet’s Taste of Vietnam tour, grab the transcript. 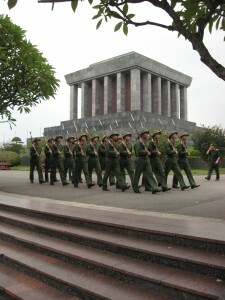 It’s a great resource to hold on to for anyone thinking about traveling to Vietnam. Last week on the Travel Channel’s “Anthony Bourdain No Reservations,” Tony traveled to his favorite place in the world to eat, Vietnam. Tony’s got good taste. It’s one my favorite places to go to for the food. Last year on my trip to Vietnam, I happily ate my way through the country. Like me, Anthony had plenty of good things to say about the food in Vietnam. For starters, you can sample the amazing cuisine of this beautiful country, and not spend a fortune. Whether you choose a restaurant, a sidewalk restaurant, or a market food stall, it’s consistently delicious, aesthetically presented, and quite affordable. I told you about the succulent five-course lunch I enjoyed at a remote Mekong Delta restaurant.The entire meal, including delicious appetizers, main course, and dessert was prepared for 19 guests on four little burners in a sliver of a kitchen that lacked most modern-day appliances. And like my other meals in Vietnam, it was not only palate pleasing, it was beautifully presented in the Vietnamese way: simple ingredients, artistic arrangement, appetizing, and delicious. One of my favorite foods, and one of the prettiest, is the Vietnamese spring roll. These spring rolls are created with a thin, flat rice pancake filled with a variety of ingredients. They usually include perfectly cooked shrimp, which are placed in the center, fragrant fresh basil or parsley, a sliver of cucumber or another vegetable, and a fresh scallion. The pancake is carefully rolled, with the ends tucked in, to hold the contents in place. The scallion’s green end protrudes from one end of the roll like a tail, to be eaten with the last bite of the roll. The roll is then dipped into a delicate, mildly spicy fish sauce garnished with a few paper-thin slices of chili pepper. Ordinarily, a fish sauce would make me say, “Thanks, but no thanks.” Not in Vietnam. The fish sauce adds to the medley of delicate flavor, and the result is simply sumptuous. What makes Vietnamese food even better is that it is very healthy and extremely low in fat. I came home having lost five pounds, despite eating at every opportunity. It consists of fish and meat in small quantities, plenty of vegetables, and fruit galore. 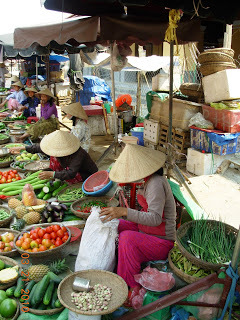 And, while we here in the West love our freezers and microwave ovens, in Vietnam everything is fresh, fresh, fresh! In the restaurants you’ll find the chef going to the market to buy herbs, spices, vegetables, and fruits two, even three times a day. Herbs that were bought early in the morning are no longer considered fresh by 11 a.m. I have no doubt that the freshness of the ingredients adds to the amazing taste of the food. One of my favorite spots to visit whenever I travel is a local market. I love to see the types of foods consumed by the locals, and I enjoy tasting when conditions permit. In Vietnam, a visit to a local market is an amazing treat. First, they are incredibly clean, despite the fish, poultry, and meats on display. Then there are the colorful pyramids of exotic fruits, vegetables, and herbs. 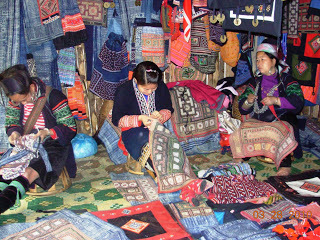 They say that anything you stick in the ground in Vietnam will grow, and a visit to a local market will prove the point. Finally, you’ll discover that you can easily taste your way through the country by visiting these markets. Just stop for a snack or a meal at the small stalls, where vendors prepare some of the most delicious treats you can imagine. There’s so much food to savor in Vietnam, and I’m not surprised at all that Tony Bourdain selected it as his favorite country for eating. As far as I’m concerned, anyone who is interested in a true cultural experience coupled with a gourmet holiday will be delighted by a visit to Vietnam. If you get a chance, see what Tony’s experience was like. 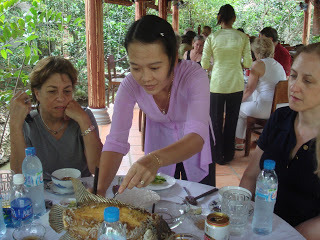 And if you want to taste some Vietnamese food, you can always book Friendly Planet’s Taste of Vietnam or Best of Vietnam tours.